PM says he trusts Transportation Minister resolve Tel Aviv bridge crisis after criticizing him earlier over the handling of the issue. Prime Minister Netanyahu said that he trusted Transportation Minister Yisrael Katz to decide how to build Tel Aviv's Yehudit Bridge after seemingly criticizing his handling of the sensitive matter earlier on Thursday. "Prime Minister Netanyahu is counting on Minister Yisrael Katz to handle the work on the bridge and to find the best solution," said a statement from the Prime Minister's Office. Earlier on Thursday, a source close to Netanyahu said that "Katz's mistakes are beginning to upset" and blamed him for the entire crisis. 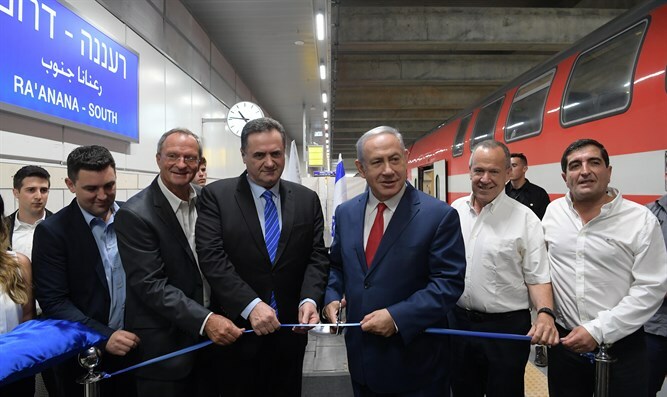 Netanyahu opposed the decision, telling reporters before taking off for Lithuania on Thursday that "I don’t think it is reasonable to close a main transportation artery like the Ayalon in the middle of the week".